River Horse is pleased to announce that the Deluxe Playing Pieces for Labyrinth The Board Game are now available in stores! So get to your own friendly local game store! If you don’t have an FLGS, they are also available on the in our web store. 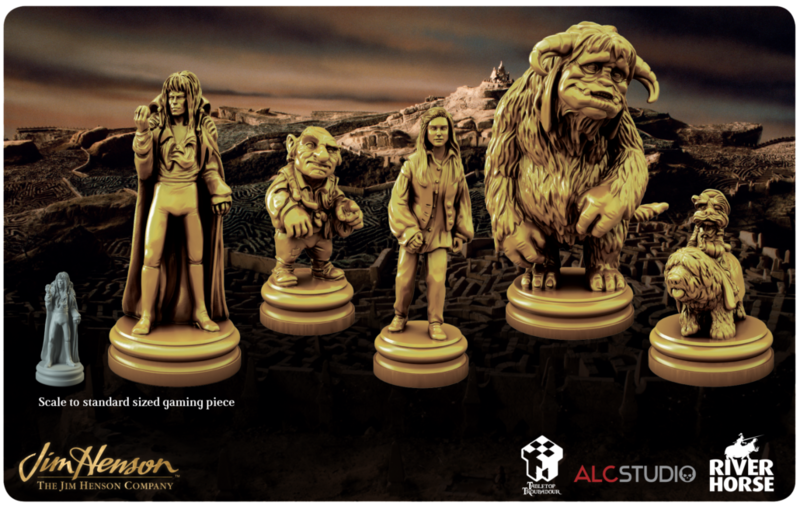 This expansion for Jim Henson’s Labyrinth – The Board Game brings Sarah, Hoggle, Ludo, Sir Didymus (and Ambrosius), and of course Jareth the Goblin King to life in gorgeous detail at three times the size of the regular game pieces! Keep an eye on our website for more information and updates on future updates to Jim Henson’s Labyrinth The Board Game. And join the conversation and discussion on our Facebook page, Instagram, Twitter and YouTube. You may even catch some new details of the next expansion, The Fireys!